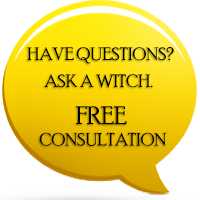 As a Coven of Practitioners dedicated to providing all of you with the service of Spellwork, we receive many questions about what one can do to “speed up” or “enhance” the results of their Spells. A positive mind incurs positive results. In a world full of background noise it is hard to block it all out and remain positive in our day to day lives. Making a positive change is trying in itself. However, here are some of the Coven’s teachings on how to bring your own Magick to life and make your dreams into reality. Cast the Spell of Self-Love by showing yourself the love you want from others. For instance, compliment yourself every day and give yourself a hug whenever you feel vulnerable. Listen and learn about the people in your life. Pay attention during conversations and stop holding them to your expectations. Give a genuine compliment or advice without wanting something in return. Truly be present, water your relationships and watch as they bloom. Build Positive Karma by giving back to your community as a volunteer with a ready helping hand. Provide a service to your world and your world will, in turn, provide a service to you. Goals are attainable with dedication and consistent action. Pick up hobbies such as list making, journaling, and meditation to maintain focus on your path. With a positive attitude, failure is a learning experience, not a dead end. Your dreams are valid, continuing fighting for them. Your body is a Physical Temple meant to hold your own inner power and Magick. Worship at your own altar by exercising and eating well every day. These are small Rituals you can perform to maintain your strength for any battle. It may be hard, but take these teachings and your Spellwork will increase ten-fold. One small step today could change your life forever.